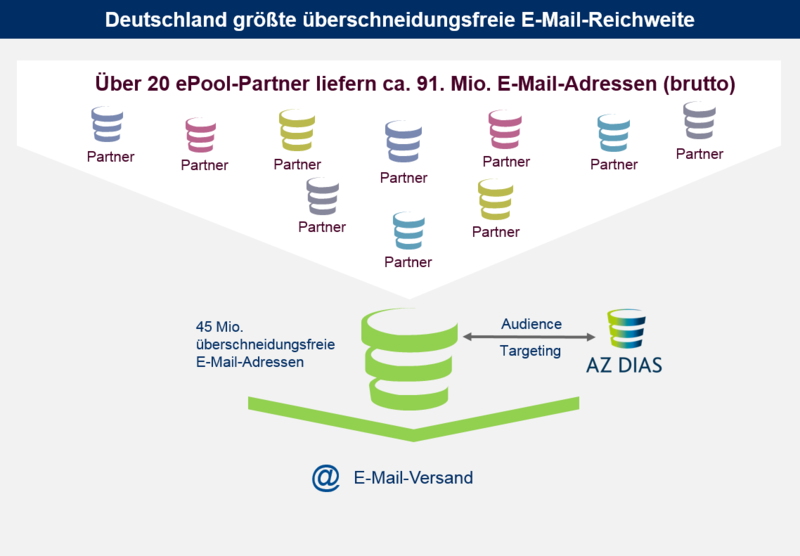 AZ ePool offers differentiated and targeted e-mail marketing with the most extensive e-mail reach in Germany: 45 million distinct email addresses connect to our unique AZ DIAS Audience Targeting System. More than 600 anonymized characteristics can be used for audience profiling. Our portfolio features more than 20 partners and by selecting unique e-mail addresses from the ePool, you will significantly increase your reach and decrease your costs. AZ ePool facilitates campaigns for acquiring new customers as well as campaigns aimed at existing customers – when a new retail store is opened, for example. E-mail campaigns can also be implemented across various media, with display and social media campaigns alongside traditional postal mailings. Geodata can be incorporated in these campaigns as well. Avoid contacting your existing customers when acquiring new customers by using AZ bridgePool to cross-reference the targets on an individual, household, or building level. In this way, you can keep your existing customers happy. 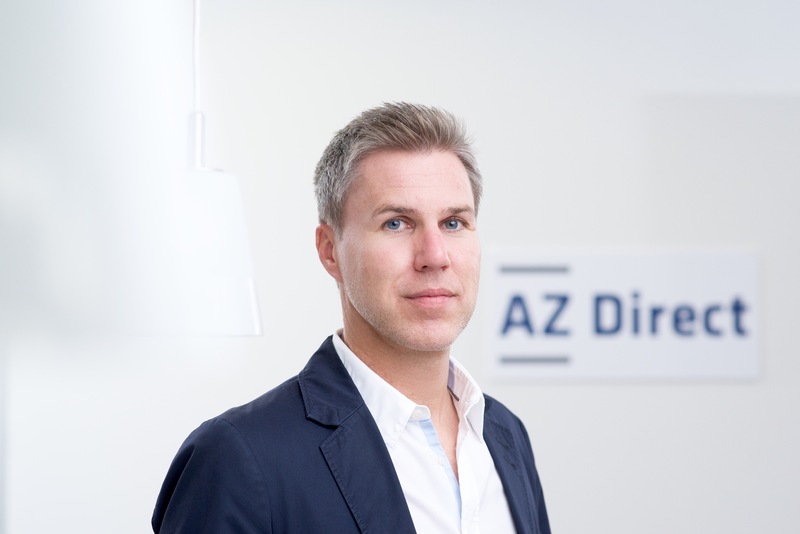 AZ ePool is also useful for e-mail retargeting and triggered e-mails during the customer journey. Moreover, AZ ePool can also be used for B2B e-mail campaigns to about 1 million SOHOs. You are on the safe side for any use case: Our patented Secure[hoch]TTP[/hoch] process and regular quality controls of the ePool partners by our data protection department ensure that your data is protected.